How to Transfer Funds for Free with GCash? Transferring funds to GCash is FREE. It also opens a whole new exciting set of features for you to take advantage of! In today's fast-paced digital lifestyle, the necessity of having a mobile wallet is in high bars. I personally use GCash as my preferred digital wallet due to its bucket-full of features that offer solutions to my busy lifestyle. For me, the winning feature is the fact that I can seamlessly transfer funds for free with GCash. Managing multiple accounts in different banks could be one heck of a chore most of the time. Good thing, GCash allows me to transfer from my bank right into my mobile wallet in just less than three minutes. This means that I don't need to line up in an ATM machine anytime I need cash to pay for a purchase. Mind you, there are tons of GCash partner establishments in your vicinity. For a person who prefers not to carry cash in his pocket, this feature is definitely a lifesaver. If you’re asking how to transfer funds for free with Gcash, I am listing down the steps right after the jump. Before anything else, you need to enroll your bank in the Gcash app. I enrolled my BPI account by clicking the hamburger icon on the upper left and going to My Linked Accounts. From there, there's a whole bunch of options for you to link. I chose BPI Account, and I was diverted to a pop-up window asking for my BPI online credentials. If you’re apprehensive in using this app because of security, you can shed that thought away. GCash uses the real-time transfer InstaPay platform which is regulated by the Bangko Sentral ng Pilipinas. After my BPI account got linked, I can already take advantage of a whole new level of banking. I always make it to a point that I have my GCash mobile wallet "cashed-in." It's a good thing to have your mobile wallet handy when buying stuff online or even offline. 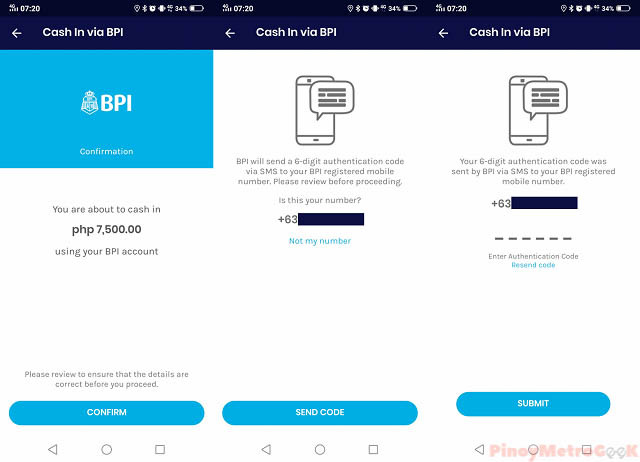 How to Cash In from Bank to GCash? 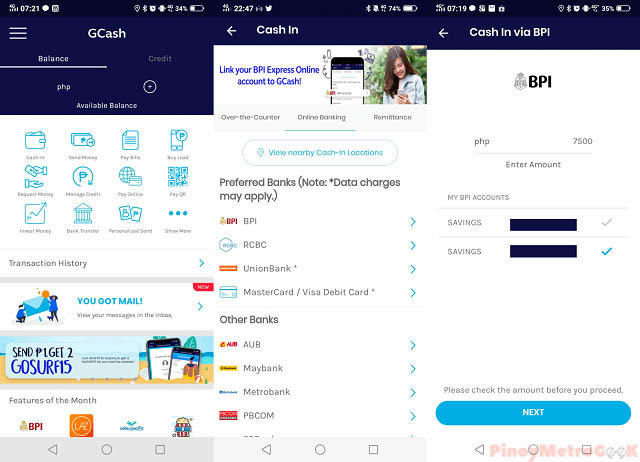 Step 1: Pull up GCash App and enter your MPIN. Step 2: Inside the main GCash interface, choose Cash In. Step 3: Go to the Online Banking tab and choose your preferred bank (in my case, it’s BPI). Step 4: Enter amount and choose the preferred bank account number (in case of multiple bank accounts). Step 5: Tap next, then Confirm. Step 6: You will be directed to the OTP interface, just hit Send Code. Step 7: Your bank will send an OTP code thru SMS, enter it in the GCash app and tap Submit. GCash widens your options in mobile banking. This mobile wallet gives you the flexibility, as well as a convenient option in your everyday transactions. 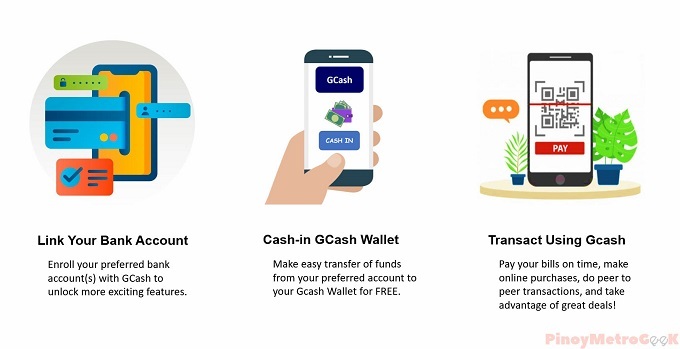 Plus, you can even transfer funds for free with GCash. The banking convenience definitely registers to be its marquee feature. It is secure, easy to use, and has wide third-party retail support. 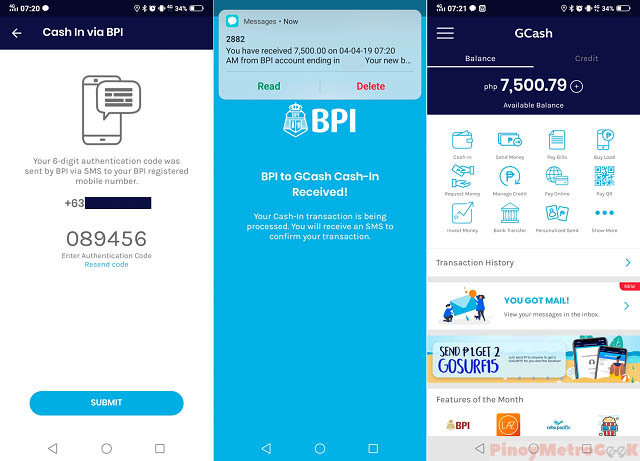 Pinoy Metro Geek: How to Transfer Funds for Free with GCash?